This is a great dessert kebab that can be served alone or with ice cream. 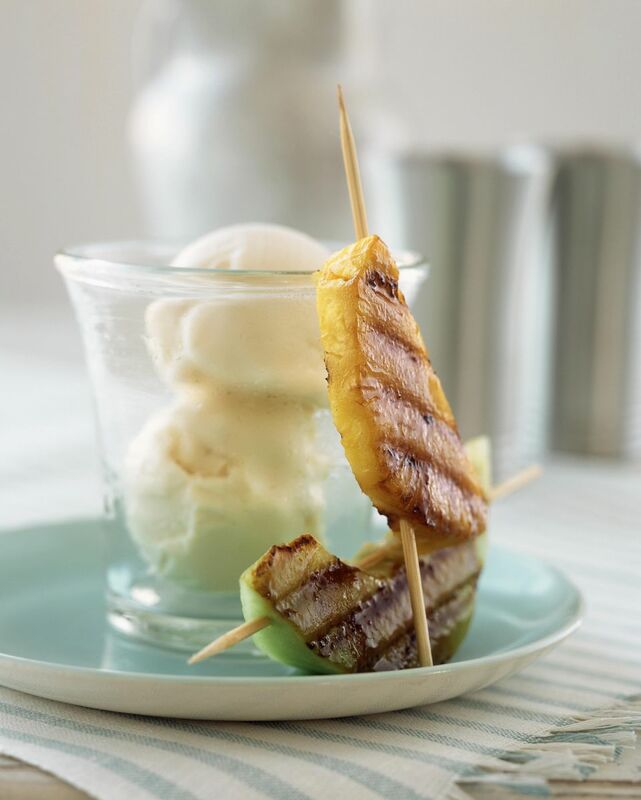 This grilled pineapple recipe can also be used to enhance cocktails, such as a Mai Tai. You aren't limited to just rum, you can substitute with tequila if so inclined. 1. Mix rum, brown sugar, honey, and orange juice together until sugar is dissolved. 3. Thread pineapple slices onto skewers. Place on the grill and baste with rum sauce. 4. Cook kebabs for about 10 minutes, turning and basting occasionally. 5. Remove from heat, let cool for a few minutes before serving with cocktails or ice cream. Is This Chocolate Mousse Really Low Carb? What Are Some Excellent Grilled Fruit Recipes?